An update to Noisyboy is about to be released. 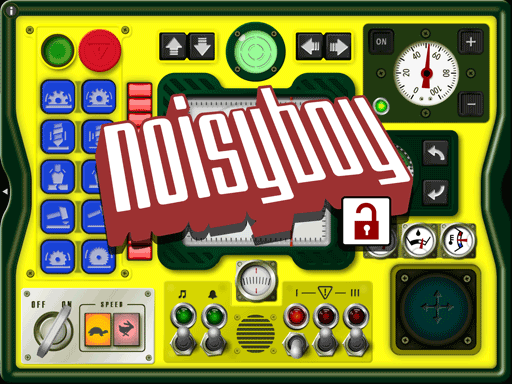 Minor interface improvements and official inclusion of the Noisyboy video into the Appstore. 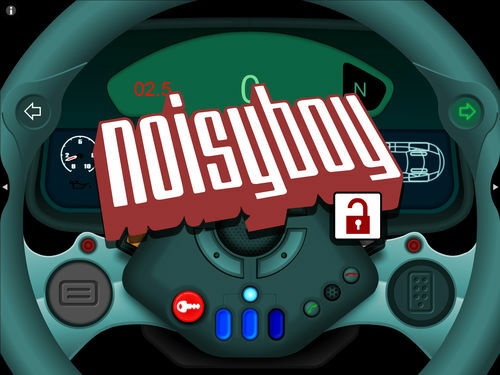 Noisyboy is now on the Appstore. Noisyboy has no levels, no achievements and no winners. It's more like a 'toy' than a game and is designed to engage your child's imagination, creativity and sense of fun. While some of these 'toys' (police car, digger) may be suited to boys they are not gender specific and are purposely not colored or designed as such. This app was designed to be used with kid friendly covers such as the 'Apptivity Case' and the volume can be controlled within the app when the access to the iPad buttons are restricted. No advertisements, no multiple payments, just one purchase to unlock all the content if you like what you see. A 'rocket ship' screen will feature in the next update! 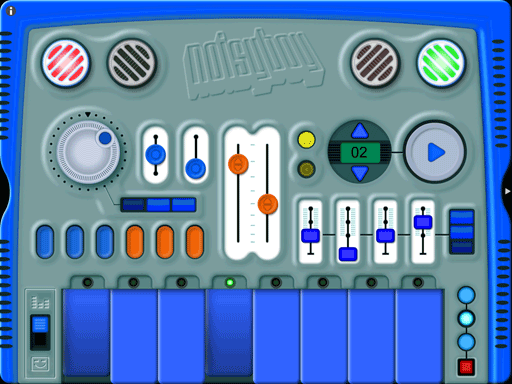 The new App, Noisyboy, has been approved by Apple and is ready to release. A promo video is underway. Here we see the App icon and a couple of extra promo images. "Noisyboy has no levels, no achievements and no winners. It's more like a 'toy' than a game and is designed to engage your child's imagination, creativity and sense of fun. While some of these 'toys' (police car, digger) might be most suited to boys they are not gender specific and are purposely not colored or designed as such. No Advertisements, no multiple payments, just one purchase to unlock all the content if you like what you see. A 'rocket ship' screen will feature in the next update!" A second, more refined, incarnation of the 3D (Skeumorphic) logo for Noisy App (right). Flat Design may be the latest for Mac/i/OS but the App's design really is a simulation of real world objects so not relevant here.